Set against the robust background of Roman soldiers marching, Victorious powered by NetEntertainment is a Roman Empire themed slot game. With the audio and visual aid of the mighty army accompanying the slot game, Victorious slots offer to its players a massive 243 bets ways which get doubled as merry wins when coupled with the Golden Eagle wild and Golden Wreath scatter symbols. Victorious online is fully compatible with Linux, Windows, and Mac operating systems, available on iOS and Android mobile devices as well on the impressive and premium touch platform forwarded by NetEnt. With Roman soldiers strutting across the background the game effectively manifests the classic theme. With the Roman empire as the backdrop, the helmeted soldiers along each edge are seen standing with a brandished pole embellished with a golden eagle and the number 243 being denotive of the number of ways the bets can be played. The clanging gong and the march parades drum line well integrate into the theme of the game. The lower value symbols of the casino game are the standard playing cards values 9, 10, J, Q, K and A which are exhibited as the golden Roman style figures upon the marble slabs. Four higher value symbols act as the rendering of various Roman men. The highest value of the game is the Emperor himself closely followed by a Centurion in gold armor. The next high-value symbol is a charging Warrior in silver armor followed by the lower value symbols denoted by a band of Roman soldiers. The play free Victorious casino slot machine is a simple game with special features even though it has a visually complex interface. The five reel fruit machine Victorious slots can be played in dual-mode either for free or for real money. Inspired by the Roman Empire the Victorious online casino forwards a wheel of Fortune with the best thrills on offer.
. While the Golden Eagle is the wild icon the golden Laurel wreath is the scatter symbol. Victorious slots offer moderate payouts along with the option of autoplay feature. When a player lands 3 or more Golden Wreath symbols a victorious yell rings out and the player can enter the free spins mode. With the scene changing to a golden Gladiator battle scene centering around the charging Roman Warrior, all the wins get tripled during the free spins. A player can play extra spins as well at this point however these do not get tripled. The number of free spins a player wins depends on how many times at once the golden wreath symbol appears. If a player lands;15 golden wreath symbols he wins15 free spins, 20 free spins for four and 25 wager free spins on landing five. The UK based slot game play free Victorious casino slot machine forwards an exceptionally striking 243 better ways to play, which is further combined with 10 bet levels. The coin value ranges from 0.1 to .50. With the minimum bet per spin being .25 the maximum goes up to 125.00. The bumper coin Jackpot delivers at once a value equivalent to 7,500 coins. While the ‘ Spin’ option initiates the game the ‘ Max Bet’ option spins the wheels at the maximum wager. The big selling point of the game occurs when of 1500 coin Jackpot can be won when 5 Julius Caesar symbols appear on an active pay line. The game can be played for real money at any of the listed NetEnt casinos. The 5 wheel 3-row game Victorious online slot features battle-hardened action. 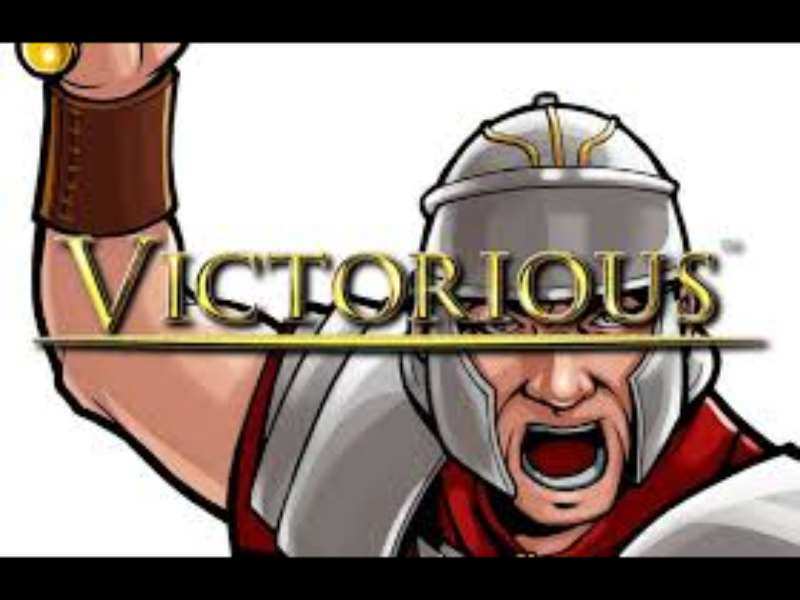 The play free Victorious casino slot machine pays a tribute to the iconic Julius Caesar. The 5x general symbol pays 500 coins and 400 coins for 5x marching soldiers. With 10 levels to play the players can get up to 250 per spin. The Victorious slot features 10, 25, 50,100 autoplay spins which are fixed at preset wagers. One special feature about Victorious online slot is that the golden Eagle wild symbol substitutes for all other symbols including scatters. The UK based game is a winner among the slot enthusiasts as every time the free spins gets activated the players stand a chance to win a bonus prize. The Victorious online no download slot is a relaxing and smooth game to play with excellent features. The Roman-themed game has a progressive payout with the autoplay option as an added feature. With 243 ways to bet, the players find enough incentive to invest in the game for real money or play it free for fun. 0 responses to "Victorious Slot"